The French Southern Territories is not a single place. It consists of multiple islands that are under French administration. First, we have the Kerguelen Islands, which are mostly volcanic islands south from the Indian Ocean and southeast from Africa. There are the islands of St. Paul and Amsterdam, which are located north of Kerguelen. The Crozet Islands are south of Madagascar in the Indian Ocean. The Adelie Land is a small portion claimed by the French in Antarctica. Lastly, the Scattered Islands are on the coast of Madagascar. Just as the name suggests, they are a group of dispersed islands. It is inaccurate to say that people go to The French Southern Territories for tourism because the area is not meant to be visited. It is rather ideal for study, which is why mostly biologists and other scientists go there. There is no accommodation and no tourism infrastructure. There is a small hospital on the Island of Kerguelen, but we recommend that you stay safe at all times instead. As far as the visa policy is concerned, the rules of French overseas territories apply. As a result, you can either enter the French Southern Territories or not without a visa depending on your nationality. France is a part of the Schengen Area Agreement, but its overseas territories are not. Nevertheless, the rules are about the same. EU citizens do not need a visa to go to the French Southern Territories, and they can stay there as long as they want. The same goes for a few other countries. 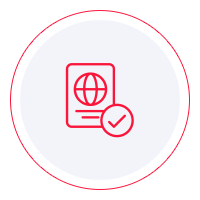 There are some limitations and restrictions for different nationalities, which is why we recommend that you conduct proper research before departure. So what do people do when they are not from a visa waiver country? They apply for a visa, of course. You can do so at the nearest French embassy. Just make sure that you give them a call before you go there so that you make sure what the requirements are. You can find a lot of valuable information online, but not all of it is reliable. The most reliable source of information is the embassy itself. The climate in the French Southern Territories is harsh, especially during the austral winter. You need to pack appropriate equipment and gear. You need layers when it comes to clothing, and insulation is a must. Studying albatross or penguins can make you sit still for hours, and that can be dangerous. Surely we do not have to tell you how to conduct a scientific expedition. As to how you can get to the French Southern Territories, this one is a bit tricky. There are no airports in the French Southern Territories, which means that flying is out of the question. However, travel by boat. But not any boat since cruise ships will not go there. You can travel by Marion Dufresne, which is an oceanographic ship. It travels to the French Southern Territories four times per year. Believe it or not, it is possible to travel to the French Southern Territories as a tourist, but it is going to cost you a lot. A shared cabin on the Marion Dufresne can reach $8300. Not to mention that you need to plan the trip at least a year in advance. The itinerary can change last minute, and it is very risky altogether. Plus, you cannot find accommodation or food on the islands. Let’s just say that the French Southern Territories are not the best destination for tourists. All islands have extensive populations of penguins, albatross, and seals. At the beginning of the 20th century, people tried to introduce cats, pigs, rats, and goats into the fauna, but the whole thing failed. They were almost all eradicated. The bottom line is that the French Southern Territories is not for everyone. If you are a scientist who would like to study penguins in their natural habitat, your excursion to the French Southern Territories is justified. If, however, you want to go there just to see how it is, we do not believe it is worth it. The weather is harsh, there is no public accommodation, and besides watching animals, there are not many things you can do.